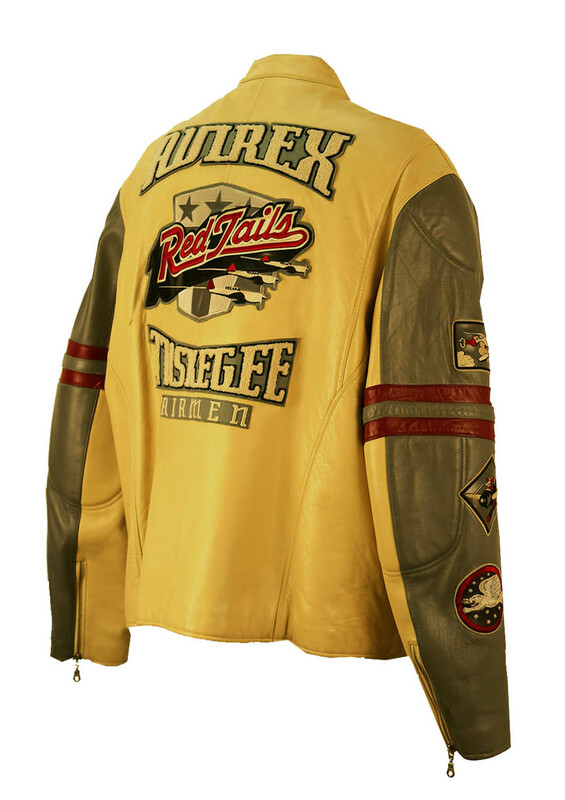 Avirex leather jacket that combines a fusion of styles from cafe racer to motorcycle to baseball/varsity style jacket. 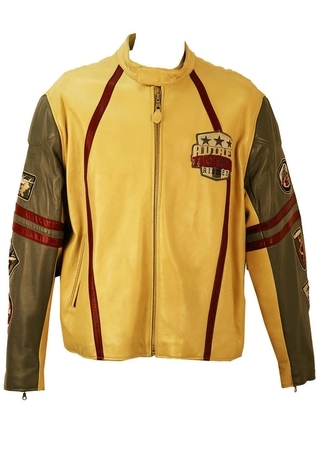 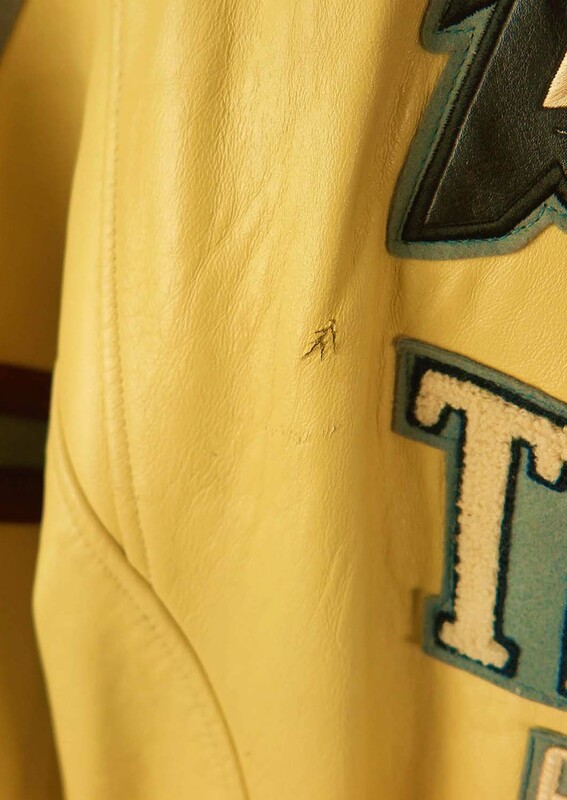 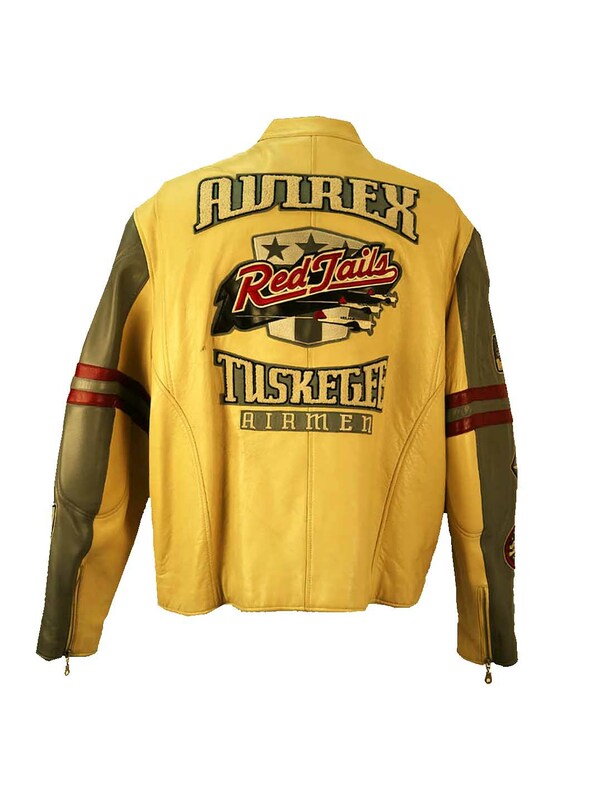 The jacket features aviation themed badges on the sleeves and a large flock design on the back in tribute to the World War II Tuskegee Airmen. 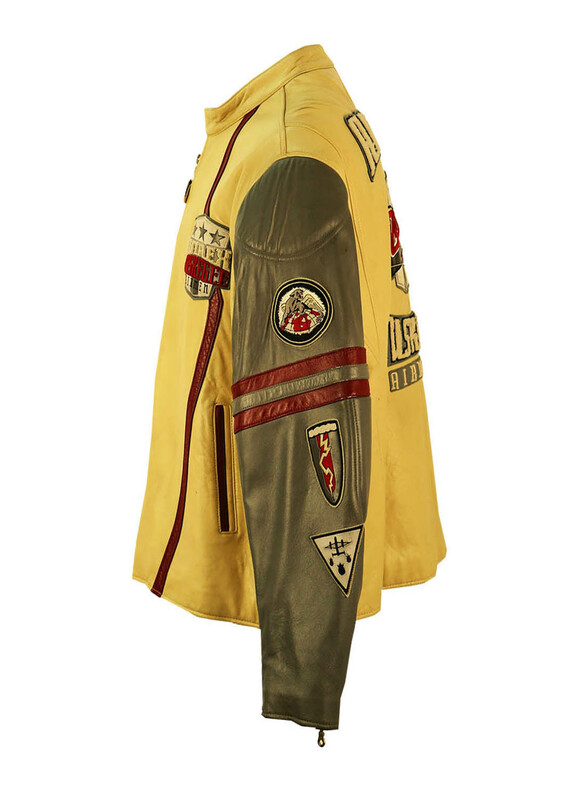 This is also reflected on the front with a flock chest badge. 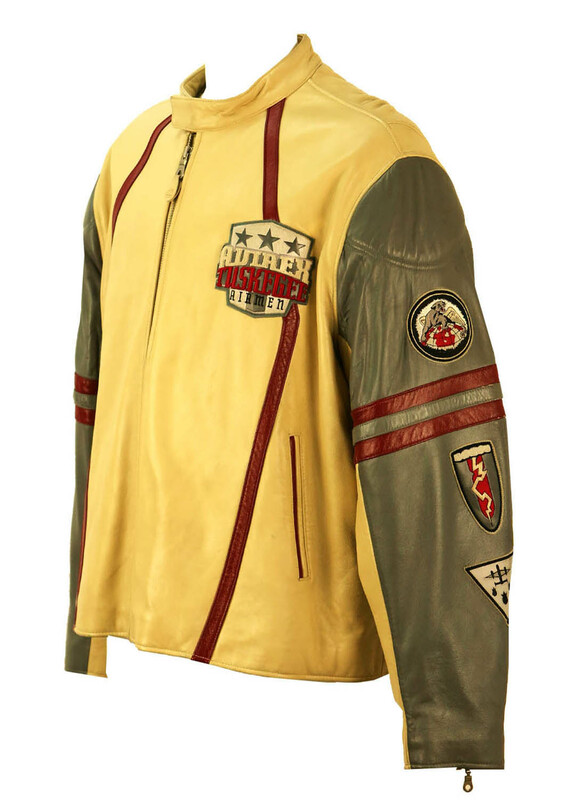 With an impactful colourway of cream, grey and burgundy, the jacket has a quilted lining and is in great condition with very minor wear to the leather. 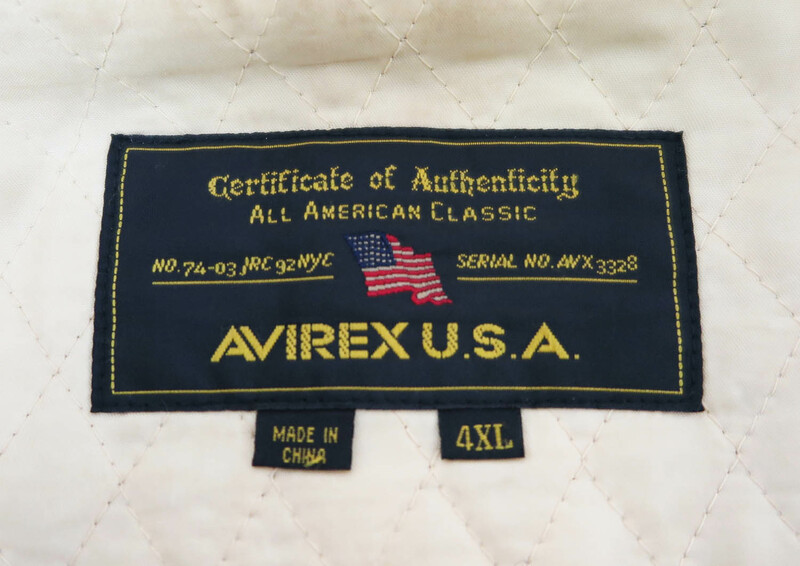 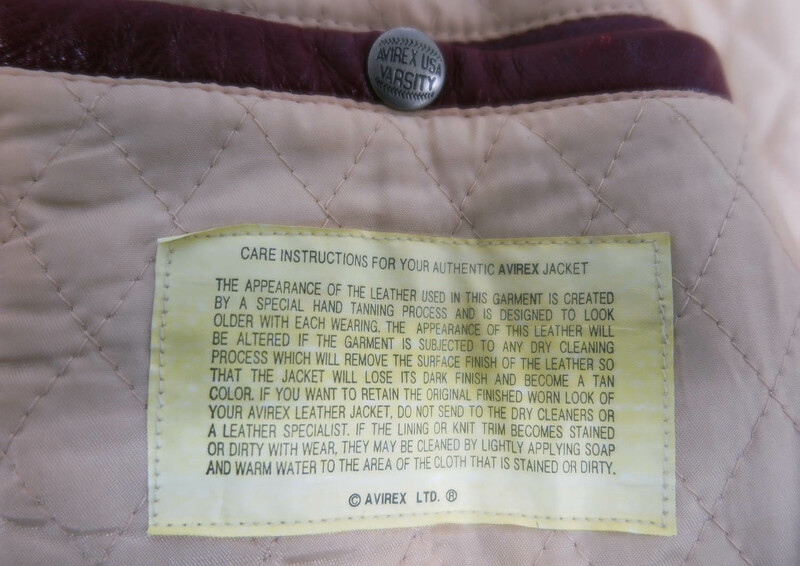 We have included a visual of an inside label that indicates that the leather has also been treated to give it a slightly worn/aged look throughout.